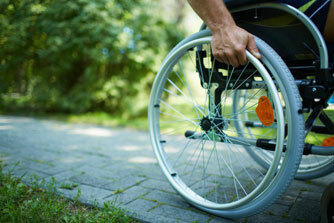 How can Supplemental Security Income help? Supplemental Security Income (SSI) is a Federal income supplement program, designed to help aged, blind and disabled people who have little or no income, assets, or recent work history. To be eligible for SSI disability benefits, you must be found disabled under the same rules used for DIB. You must also have very little household income or property to be financially eligible for SSI. Even if you are disabled under Social Security’s regulations, if your household income exceeds their limits, you will not quality for SSI benefits. persons who are over age 65 or disabled but have not worked sufficient quarters to be eligible for SSA benefits. minor children who are disabled. People who quality for SSI benefits will also qualify for Medicaid coverage.